All day, I’ve been pondering a lot on blogging and bloggers and blogs after Jamie of The Perpetual Page Turner shared a very eye-opening post on how there’s been a huge shift in the book blogging community. According to her, there’s tense competition and too much self promotion/marketing and I kind of agree. In fact, maybe I’m slightly guilty of these things. I don’t know. What I do know is this: we all just want to be recognized. That’s the reality of the situation. It’s the root cause. I’m not saying we’re all aiming for fame or anything. Most of us aren’t out to just get followers and pageviews and comments and ARCs. We simply want to be acknowledged. Even in little ways. And of course in big ways too, if that’s possible and not just a faraway dream. IT FEELS NICE TO BE RECOGNIZED. So it’s completely normal to want that feeling. But the thing is, we can’t let this be our driving force for blogging. We can’t let other people and their interest in us determine who we are as bloggers. What if readers start to feel less engaged by your posts? What if you began to lose followers? What if there’s another blog that’s so much better than yours? Would you enjoy blogging then? NO. You’ll be dissatisfied with yourself, stressed and unhappy. In contrast, if you blog for the sake of blogging and if you blog for yourself because it’s something that you love, you won’t be weighed down by such burden. For me, blogging for myself means carrying out the purpose of this blog- to stay bookish and to spread the love for reading. That’s what I want to accomplish because it is my personal mission and that’s why I will continue to blog. So to my fellow bloggers, remember why you wanted to blog in the first place. Stick to it and you’ll easily learn the truth about blogging: it’s much better done out of passion than the need to make an impression. What drives you to blog? What is the purpose of blogging for you? Let’s talk! I love jaime & think her post was well written. I have heard a lot about the drama ans shift but don’t really see it.this could be bc my blog is under a year old or maybe I just don’t attract the negative. I do tend to be s pretty positive person and it’s all about who you surround yourself with. One thing liked that you pointed out is recognition. They are a bajillion times more blogs out there now and it is do an near impossible to get noticed by anyway unless you do a bit of self promotion. I’m sure years ago this was a very different situation and had a different feel. I think it’s unavoivs,e really as there is so many now that it will just shift this way. As long as we the bloggers stay respectful of each other and don’t let jealously ruin our experience then it’s all good. Sure I want some books other people get but you know what I’ll freaking get it eventually NO BIG DEAL. I, not really sure “the drama” is that everyone is referring to and quite frankly don’t care but I love this my hobby. Once again HOBBY, this isn’t my job this is my free time thing. Once it stops being fun your doing something wrong and need to re-evaluate. I can see where some people feel stressed over post and the like but really it’s ot that serious if I miss a post or two a week so what, if someone unfollows me after a giveaways is over, so what. As long as I have one of two people who read my reviews and Gish about the books I do im cool! Very eloquently put my dear! Jamie’s post was incredibly thought-provoking. But yes, I’m right there with you. Even though I’ve been blogging for a year and half, I still feel very positive about the community. That said, because Jamie’s thoughts really called to me, I couldn’t help but share mine as well. I’m always reminding myself to have fun with blogging and most of the time, I really am. I love blogging. I wish I could spread those happy feelings with everyone, especially those who seem to be losing heart because of the several negative aspects observed in blogosphere. Don’t worry Hazel we’ll make the happy happen! I am completely in love with this post. And YES YES YES, I agree with everything you said. I do think we just want to be acknowledged. All we want to know is people want US. I’ve been seeing so much self-promotion in the book blogging community. Yes, I really can’t lie, I do want to have comments and get emails and get new followers but at the end of the day, I love blogging because I love blogging not because of anything else. I think I can count myself lucky not to have encountered these problems in the three, almost four years I’ve been blogging. Not to say they dont exist of course. Maybe I’ve just been lucky but I’ve encountered nothing but good comradeship and a love of reading. All I really ask for. I think I lost a little bit of that “spark” in my writing this last fall because I felt like I NEEDED to do it a certain way. My New Year’s resolution is going to be writing about what inspires me instead of dwelling on what other people might think of my writing, and hopefully doing it that way will help other people have a nice time on the web and my blog! Really great post, Hazel, and thanks for the New Year’s resolution! love your thoughts here! I hope my post didn’t come across like that’s ALL it is. It’s not at all! It’s just far different and, as a result, I’ve seen a lot more negativity and heard from others far more than I used to! There’s still so much joy in the community but I feel like year after year….it just gets worse. In 5 years I’ve never had any drama happen to me or have I ever commented publicly but it still affects me unfortunately through seeing it on Twitter or seeing posts crop up after it happens or having people message me like UGH HAVE YOU SEEN THE LATEST. It’s just sad. I’m hoping though that we can, through these kinds of posts, see what GOOD we have. Because there is SO MUCH GOOD and focus on that…and work together to rid ourselves of some of things that have been hurting the community. Of course, things will ALWAYS be there. But maybe not so overwhelmingly! I def agree with you…we want to be heard. I don’t think there is anything wrong with that desire! I think that’s where the separation happens…is when that’s what we care more about as you pointed out. When THAT becomes the most important thing in this. I have no problem with promoting posts (I do and I think it’s a normal thing!) but sometimes I think it gets aggressive when it’s the main goal and promoting yourself is ALL you do. I’m trying to make more of an effort to do some LISTENING in the community and one way is sharing things others are doing….helping THEM to get heard and feel acknowledged. I’ve always said that the days I find myself caring more about external things are the days I’m most unhappy. Because blogging is fickle. People are fickle. We can’t put our blog worth in things like page views and followers, etc. That’s why I try to just focus on if I’M happy with what I’m doing and what I’m putting out there. Am I happy with the interactions I’m having? Do I feel fulfilled? It can get sad when you feel like you aren’t being heard but then there are days when I will get a reader email or a person saying omg I picked this up because of you….and it’s like I AM BEING HEARD. I’m just trying to measure it in the wrong way. Really, Jamie. Your post sparked all of these. And no, the negative bit is definitely not all I took from your post! It presented much more and I was so inspired by what you shared I started to draft not just this post then, but two others. I agree that we really need to focus on the good but that it’s hard when we get blindsided by the bad. I think we’re all just on the same boat here on wanting to be heard, but we need to remember that it shouldn’t be the focal point of blogging. I think it’s admirable that you give much effort to listen to others and that you help them feel recognised in the community. I can’t tell you how much it means to me that you took notice of this post. “Blogging is fickle. People are fickle. We can’t put our blog worth in things like page views and followers..”- So right on, Jamie! In the end, what’s important is that we’re happy and contented with blogging, not by whether our blog is “successful” or not. I just love books. It drives me to blog. I love talking about them. I’m a former bookseller and being around books makes my life feel complete. Even if I do buy too many books. My goal is to just talk to everyone about books, whether it’s about a book they love, recommendations or just to sip some wine and chat online! This post was spot-on, Hazel. I started blogging because I thought it would be a fun hobby, and it’s actually so much more enjoyable than I ever thought it could be. In fact, it’s turned into a full blown passion that I don’t think I could ever give up. However, now that I’ve been blogging more and gaining followers and comments, I have realized that gaining acknowledgement and an audience have become more important to me. You’re right in that it is so important to remember why you started blogging in the first place because blogging is not about fame. I try to remember that, because it makes blogging so much more fun. My blog is not even one month old, so I don’t know what I can bring to the “debate” myself. All I know is: I love books, and I love movies, and Goodreads wasn’t enough for me anymore in terms of writing reviews and sharing my thoughts on a book. Right now I’m even struggling to get followers in the first place, I have no idea how to get more, but I do want to make good content (or at least content that I can be proud of), and I hope my little blog will eventually grow and that more people will eventually come and read my reviews and comment so that we can share ideas and opinions. Yay, love this little series of yours! Okay, I didn’t know anything about this (mentions of drama in the book blogging community were made apparent though) but oh my gosh. I mean, I’m a fairly new blogger so I guess I haven’t seen that change in the way Jamie has. But. There’s lots and lots of book bloggers out there. 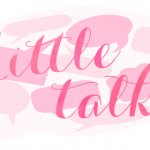 I blog about books firstly because talking and fangirling and reviewing books and doing bookish things is second nature to me (I scare my friends that way all the time) and it’s an innate part of who I am. Secondly I’m addicted to this – like Jamie said, blogging is fairly therepeautic for me…without it I would be stressed and worrying about my blog like it’s my baby or something. I guess what I want to say is that I think I’ve only heard once that someone wanted to blog to get ARCs. My eyes bulged out and I was like, “whoa, publishers actually do that sort of thing?”. However I don’t think I’m up to the level where I want to take ARCs and frankly that sort of involvement in the publishing industry (albeit an indirect involvement) is kind of scary. I like books. I like talking to the internet about them. We definitely still are! The people of this community are still AMAZING. I hope my post makes that clear that I still think that despite what I’ve observed of the community. 95% of the people are A++++. It’s just hard to explain the suffocating feeling that a lot of us (and I mean A LOT) are feeling with what seems like a continuous onslaught of negativity…despite how a lot of days things seems okay and how awesome people are on a daily basis. I totally agree with what you said Hazel. It’s not bad to dream of being recognized and to have lots of followers, but if that is the only reason you are blogging, it will really hurt when you “fall” (lose followers etc). BUT if you blog for the books, then you won’t feel as stressed or as unhappy because books won’t go anywhere. I think everyone in the blogosphere aims to have a certain amount of viewers/readers for their blog, but that shouldn’t be the main purpose of a book blog imo. Thank you, Leigh. Nice to know we share like sentiments! And it’s not really just when you fall from blogging, that you’ll be unhappy. Even when you’re getting all the attention you want, if you’re blogging just to keep followers (like by doing lots of blog tour/promos), I doubt you’ll be happy with the content you create. Good, thought-provoking post, Hazel. I think the majority of us bloggers can relate to what you’d just written. And most of us are guilty of seeking attention. Well done. I think you’ve summed up my feelings in three sentences. ;) I’m so glad we feel the same about this. I blog because it makes me happy. I love sharing my love for books, and I also love writing other posts, as well. I pretty much just really love having an outlet for sharing my thoughts and love for things, and have people receive them really well! And I also blog because it gives me such a sense of community. I’ve never had readers in my life before, so I never had someone to fangirl to or rage about a character death to. And now I have so many friends that understand what it is to love and adore books as much as I do! I love blogging so much for everything it has given me. THIS COMMENT. <3 Really, Chiara. Your blog shows how much you love what you do. I've never doubted that and I'm so glad to hear you're so passionate about blogging. Stay amazing, my dear! Ah, I understand LaLa. Your intentions for blogging are admirable. Just keep doing what you do, I’m sure the authors of those under the radar books are thankful that you at least are giving recognition to their work. I hadn’t read Jamie’s post, but I will after this! Ohh, I don’t really know if book blogging has gotten more competitive?! I’ve only been book blogging for just over a year. (I’ve blogged for 4 years, but before that I was more writing/travel/weird. lol) xD But I totally agree with you that we all would like to be recognised. It makes sense. We’re sharing our passions, but blogging is also art, right?! And art is nice when people say “ooh, you did a good job”. Love this discussion topic, though! I’m glad I directed you to Jamie’s post then- it’s really a must-read! I think we started out at the same time, Cait, which is why I understand how you feel! I agree. After all, we’re not putting our thoughts just for us. It’s for public consumption and it’s exciting when people acknowledge it. Jamie’s post and your own are very much on point. I think we all start from the same place, from our love of books and trying to find someone that will enjoy books and will understand our book hoarding, flailing and what a book hangover is. We might all be swept up in the craziness of ARCs, pageviews and stats… but maybe what we need is to take a deep breath and realize that we still love books and we still want to talk about it, so that’s what we should focus on, numbers in stats, are just numbers! I was never really that obsess with things like stats, arcs (well, when that arc is something I really desire to read, LOL), etc. It’s why I’m still in love with blogging and I’m already almost five years of doing it. There’s nothing wrong if you want to get acknowledge but if you’re too keen on it to the point that you’re pushing too hard/too much then you’ll get burn out easily and eventually quit. I love what I’m doing regardless of what’s trendy or not, I love what I do and that’s what matters to me. Honestly, I only ever started to be worried about such things when I first started book blogging. That said, like you, I’m still in love with blogging. I may get slumps, but I’ll always love this. I think I’ve learned to let go of my previous concerns (it still feels nice to be recognised of course) but now, I can say I’m doing this for me and because I love it. I don’t exactly consider myself a “book blogger” in the sense that you’ve talked about here–I blog about books a lot, but I don’t post a lot of reviews, I don’t request ARCs from publishers, etc–and I’m new to the book-blogging world anyway, so I haven’t actually encountered much of the pushy loud competition you and Jamie are talking about here. But while I can’t really comment much on that aspect, I DO love what you said about blogging because you love it. I don’t think it’s a bad thing to want to gain followers, to get comments and have people who read and love your content, but I do think it’s important that we remember the reasons we love blogging and don’t lose sight of them. For me, blogging is fun because it gives me a voice and a space to talk about books and writing, and a community that understands what I mean when I flail about a book or discuss my current work-in-progress. 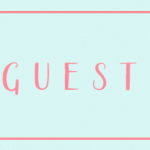 Blogging gives me a way to connect with readers and authors alike, and I feel like it also provides me with a way to network and feel like a part of the bookish community before I become an author or librarian like I dream of being. A part of that enjoyment IS rooted in recognition, like you said, because it DOES feel good to be acknowledged; but just because you like being seen doesn’t mean that it has to be your driving force for blogging. Thanks for sharing this post, Hazel! I think that is really interesting and you wrote it very well and succinctly. I’m new to the blogging world so it’s good to know I need to be careful when growing (hopefully) support and make sure I keep focussed on why im doing it. The main reason I blog is because I love books! I love talking about my passions and so therefore my blog acts as an outlet for that. Blogging has also opened my eyes up to a whole other load of books that I wouldn’t have known of otherwise. Such a wonderful post! Personally, what drives me to blog are the things I blog about. I love sharing my passions. I used to create posts based on what I thought others wanted to see and what would get the most hits, but really, it would always fall short because I was not enjoying myself and was forcing posts out instead of having them naturally come and enjoying what I was writing about. And too, even if no one ever reads my posts, I still feel like I have found this outlet and that also keeps me blogging! 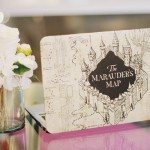 What a fantastic post that emphasizes what’s really important for us book bloggers! This discussion has been a good reminder to me that it’s most important that I blog for the reason I came into the book blogging community: because I love books and I want to share my passion for them. And…I really love diving into the spirituality of literature, and that’s something I can do with my blog! I love your statement: “We can’t let other people and their interest in us determine who we are as bloggers.” This is so perfect and true. I think we are all ultimately happier when we blog without comparison to other bloggers or worry about how others will (or will not) respond. I know I am more motivated now to pursue doing more discussion posts about bookish topics that I’m passionate about—for the sole reason that I’m passionate about them. And if others are, that’s cool too! I think it’s really good to see the amount of encouragement that is present in the community. Thanks for this post! Goodness I had to scroll far down… I blog for myself. I have a blog that is relatively popular, not big but it’s a medium sized popularity thing. I do it because I love books and I like meeting new people. It’s nice to see big hits but if I don’t get them, so what? I don’t do this for a living ,it’s for fun and the minute it feels like a job, I don’t want to do it anymore. I’ve never liked popularity, I’ve always been that girl in the corner with 2 friends and if I can make 2 friends here, I’m good. “…remember why you wanted to blog in the first place. Stick to it and you’ll easily learn the truth about blogging: it’s much better done out of passion than the need to make an impression.” —> This is easily my favorite part of your post, Hazel! It’s a great post in its entirety, but this pretty much hits the nail on the head. If you’re blogging because YOU love it, because YOU enjoy it, because YOU want to, and don’t rely/make your blogging dependent on the response you get, then you’ll probably be blogging for a much longer time. Great post, and great points! I blog because I like keeping a catalogue of my reviews and bookish discussion thoughts. I really like sharing the love of my favourite books, and discovering other books that I might be interested in. I’ve met some really awesome people through book blogging, and keeping connected with them, sharing book recs, makes me so happy!